When Beatrice* got up to speak, I had no idea what to expect. She was soft-spoken, and admittedly terrified to speak in front of the group of conference attendees. But for the sound of her voice, the small room packed with Lesbian, Gay, Bisexual, Transgender, and Intersex (“LGBTI”) rights advocates and activists was silent. And this was just one of many heart-wrenching anecdotes shared at the Conference on the Rights of LGBTI Persons under International and Regional Law in Pretoria, South Africa. Uganda is not unique as an African country in terms of its state-sanctioned mistreatment of LGTBI persons. LGBTI individuals, their families, and their allies are at extreme risk of physical harm, social denigration, and being barred from government protections and services because of their sexual orientation or gender identity. These challenges are precisely why the Leitner Center for International Law and Justice’s International Law and Development in Africa Clinic organized the conference in partnership with AIDs Rights South Africa (“ARASA”) and the UN Office of the High Commissioner on Human Rights (“OHCHR”). The conference was held in the first week of November at the University of Pretoria’s law school facility. I first became involved with this project during my 2L spring semester as a student in the Walter Leitner International Human Rights Clinic. Under the supervision of the Leitner Center’s Director of Special Projects in Africa, Professor Jeanmarie Fenrich, and Crowley Fellow in International Human Rights Zach Hudson, two other students and I helped draft a training manual in collaboration with the United Nations on the rights of Lesbian, Gay, Bisexual, Transgender, and Intersex (“LGBTI”) persons under international law, and how these rights can be promoted and protected using the international and regional human rights systems. 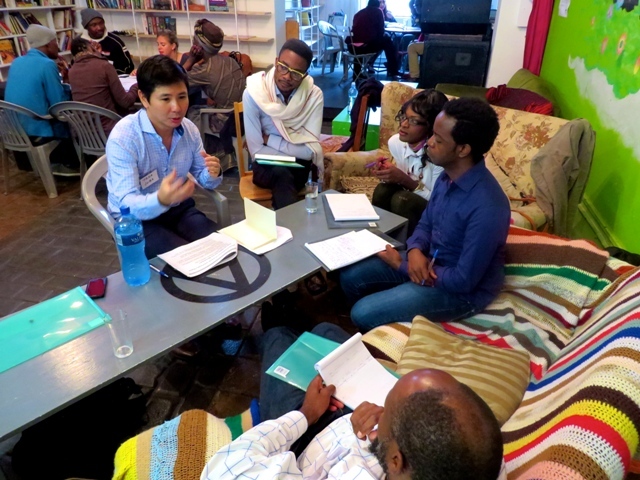 During my 3L fall semester—this time through the International Law and Development in Africa Clinic—it was decided that we would conduct a training on LGBTI rights based on the manual in South Africa with LGBTI rights activists from all across Africa. My fellow 3Ls, Alexandria Strauss and Vincent D’Aquila, joined the team and we spent several months refining and editing the training manual to apply specifically to protecting and promoting LGBTI rights in sub-Saharan Africa using the international and African regional human rights systems. Then, since each of us students would be responsible for teaching a portion of the training manual at the conference, we practiced as often as possible and in front of as many students we could entice with the promise of free pizza. My primary role at the conference was to teach the introductory section on international treaty law. Even though I was familiar with the training materials after so many months working on this project, I was fairly nervous about presenting in the days leading up to the training. Apart from typical public speaking jitters, I was simply in awe of the people attending the training. They were all members of organizations working courageously to further the rights of LGBTI individuals in their respective countries, and I wondered whether I would be enough of an ‘authoritative’ speaker to effectively convey information that I believed could be very helpful in their future work. As it turned out, this was one of the warmest, most receptive groups of people I have ever come across. Several LGBTI advocacy organizations from across sub-Saharan Africa sent representatives to attend the training conference. These representatives hailed from Botswana, Cameroon, Kenya, Malawi, Mozambique, Nigeria, Uganda, South Africa, Zambia, and Zimbabwe. The activists all had varying levels of experience in utilizing the international and African regional human rights systems, and this created quite a beautiful patchwork of diverse opinions. 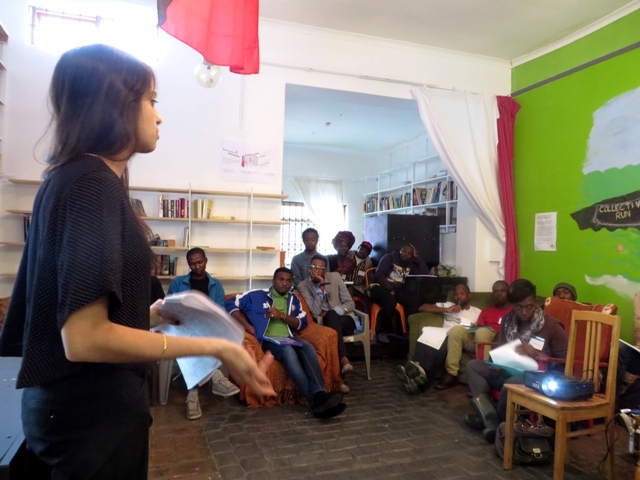 The three days of the conference were peppered with many thought provoking questions as well as powerful anecdotes of the training participants’ work as LGBTI rights advocates. Beyond the technical successes of the conference, it was a joy to see friendships forged, and in some cases, rekindled, between everyone there, including the training participants, those of us representing Fordham and the Leitner Center, and our partners from ARASA and the UN OHCHR. We did more than learn together; we ate all our meals together, spent downtime together, and one night after training, a few of the participants even organized an ad hoc breakout session for queer and trans women at the conference. This was a genuine success of human connection over a heartfelt common cause on both the professional and personal levels, and it was privilege to share in that experience. I am so grateful for having been afforded the opportunity to be a part of a project that offered an additional set of tools that these activists might use in the struggle to ensure that the rights of LGBTI persons are protected in each of their respective countries and regions. In a time when it seems that the only news that makes it out of Africa on the subject of LGBTI individuals is news about persecution and fear, it was inspiring be reminded that the dominant narrative that denigrates sexual orientation and gender identity minorities has a steadfast opposition—opposition like Beatrice. There are amazing people on the front lines of this fight to live and love in peace, and they are doing remarkably brave work to push back against oppressive forces in the face of daunting obstacles. I believe it is incumbent upon us as allies in the fight for all human rights to provide them support in any way that we can. *Please note this name has been changed for safety reasons. Tessa Juste is a 3L student at Fordham Law School, where she participated in the Walter Leitner International Human Rights Clinic and the International Law and Development Clinic in Africa. 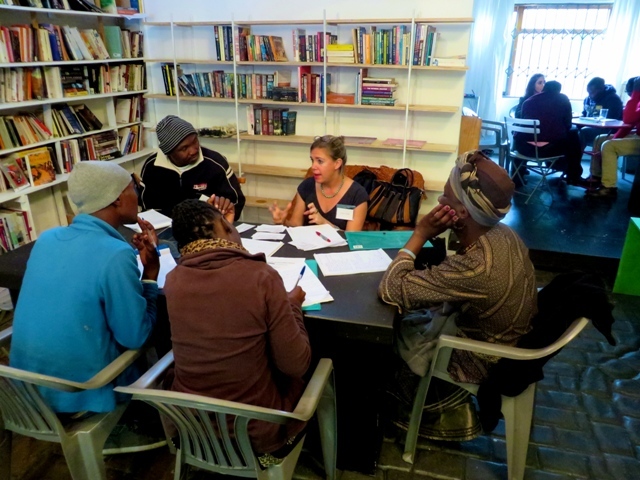 Categories: International Law and Development in Africa Clinic, LGBTI Rights, Training | Tags: Africa, Human Rights Trainings, LGBTI Rights, South Africa | Permalink.